More complete information on each of Metro Rail's planned lines is provided in this section. 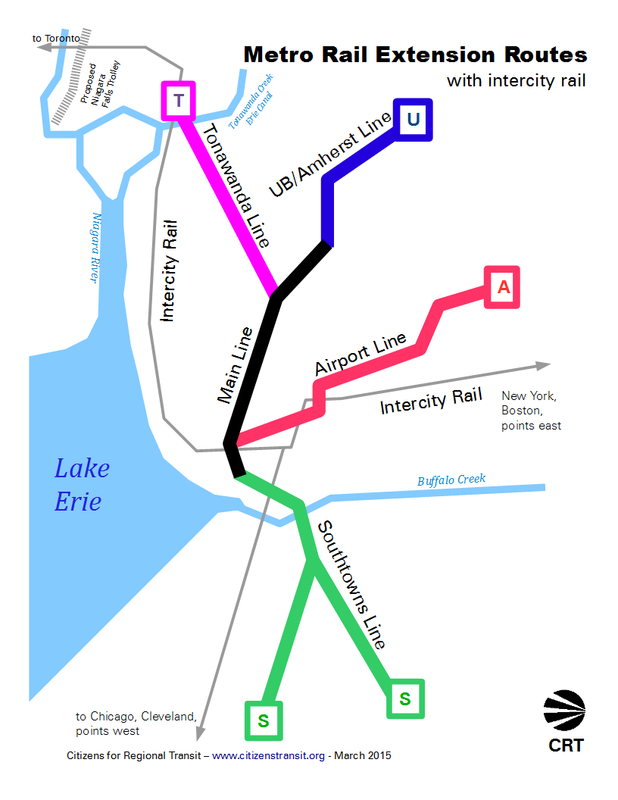 Buffalo's Metro Rail was designed for 46 miles of route, reaching the Buffalo-Niagara International Airport, the University at Buffalo North Campus, Niagara Falls, and the Southtowns. Currently, Buffalo's Metro Rail extends from the former D,L&W Terminal (the Metro Rail barns) to the South Campus of the University at Buffalo, a distance of 6.2 miles. The existing Metro Rail's southernmost one mile is at grade on Main Street, and the balance of the system is underground in mixed cut/cover and deep bored tunnel. Click here for an interactive Google map of the Metro Rail lines.